High ranking officials have gathered in Russia’s Smolensk region following the tragic crash of the plane carrying Polish President Lech Kaczynski and many of the Polish political elite, with no passengers surviving. Following the crash, Russia’s Emergencies Ministry opened a crisis hot line for relatives of the victims. English speaking emergency specialists can be reached at +7 (495) 626 37 07. The Smolensk region has set up a separate hot line: +7 (800) 100 19 01. Russian Prime Minister Vladimir Putin has arrived in Smolensk to personally supervise the investigation. An emergency response center has been set up near the site of the tragedy. Prime Minister Vladimir Putin, Emergencies Minister Sergey Shoigu, Vice President Sergey Ivanov and other top Russian officials are there to oversee the government’s response following the crash. Russia’s Emergencies Minister Sergey Shoigu reported to Putin that all bodies have been recovered. "Their transfer to Moscow has started with the full support and assistance from the local authorities," Shoigu said, adding, "Everything is already arranged in Moscow for forensic studies, for accommodating the relatives of the dead and also people who will be accompanying the delegation”. Polish Prime Minister Donald Tusk and the President’s twin brother, chairman of the Law and Justice party Jaroslaw Kaczynski, have also arrived there. Tusk and Jaroslaw Kaczinsky traveled by plane to Vitebsk in Belarus and then arrived in Smolensk by cars, Itar-Tass reports. The Russian and Polish prime ministers have laid flowers at the crash site. A group of Polish experts, including Defense Ministry representatives and civil aviation specialists, have arrived on the scene. The airport is very close to the city and an even greater disaster was averted since the plane could have crashed into nearby houses. Polish journalists who arrived in Smolensk shortly before the Polish president’s airplane crashed have also shared their personal accounts of Saturday's tragic events with RT. The city of Smolensk has prepared to meet and accommodate relatives of the plane crash victims, booking about 200 suites in local hotels for them. Meanwhile, the first helicopters with the bodies of the crash victims have arrived in Moscow. A crisis center has been set up in Moscow to aid those coming to identify the bodies of their relatives. The identification process has already began. The plane with the first group of the victims’ relatives has been already brought to Moscow and others are following. Visa restrictions for all of them were lifted by the Russian government. 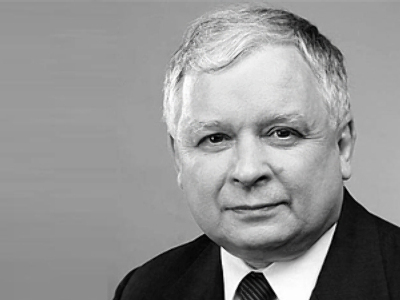 Bodies of Lech Kaczynski and his wife have already been identified.